The Tiffen 107mm Coarse Thread Soft/FX 2 Filter can be applied to purposely reduce the appearance of blemishes and wrinkles in portraits or to apply a general soft-focus effect while maintaining overall sharpness. An array of small lenses distributed within the surface of this filter smooths fine lines and textures, which can be useful for creating a more flattering result of a subject. This filter has a grade of 2. Grades of 1/2, 1, 3, 4, and 5 are also available where this filter type's effect becomes approximately twice as strong with each grade number increase. When higher grade numbers are applied, a halation effect around highlights can be created to further enhance a subject's appearance or produce a desired effect. 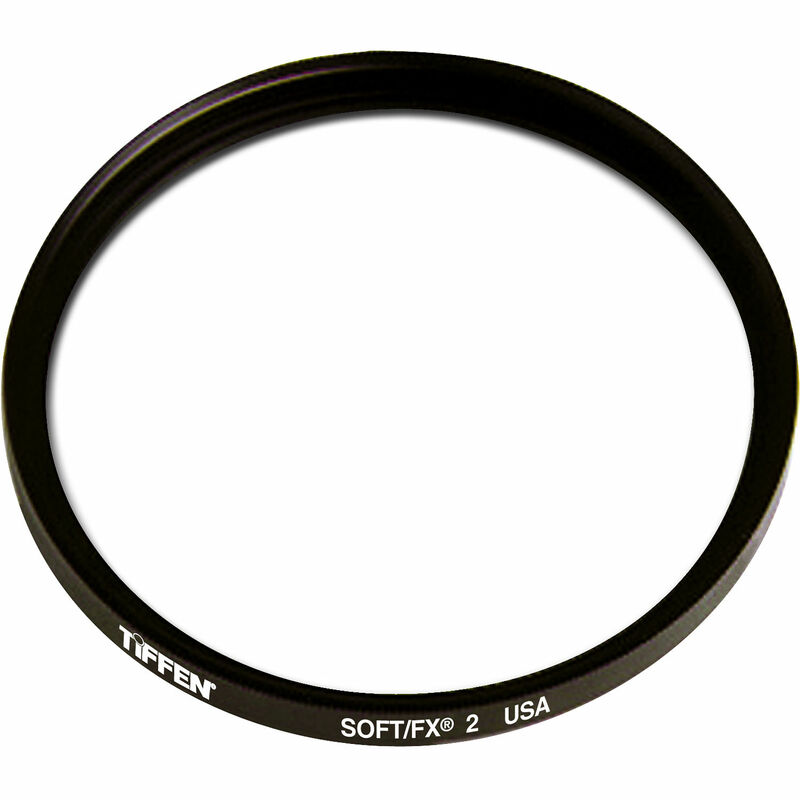 This filter is constructed from optical glass for clarity as well as color fidelity. It is made using ColorCore technology, a process that involves laminating the filter substrate between two pieces of optical glass and grinding flat to a tolerance of 1/10,000th of an inch, and then mounting to precision metal rings.